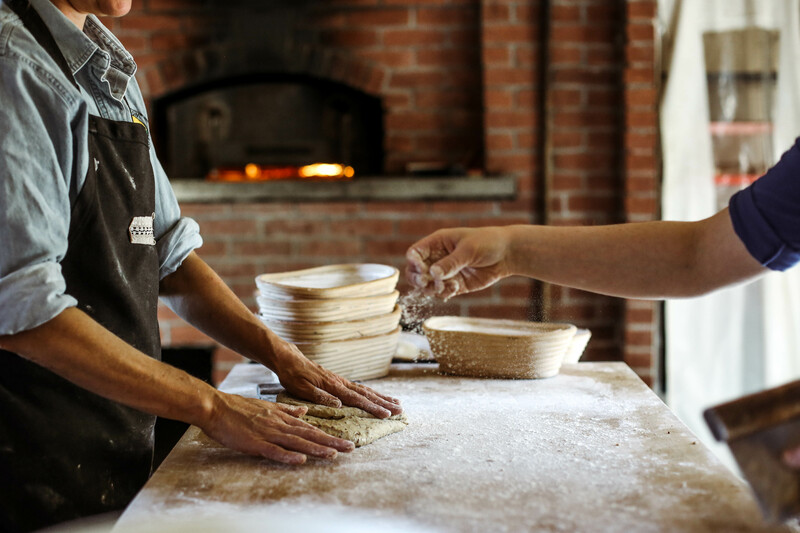 There’s a deep satisfaction in knowing that you’re part of a very long tradition and at Sunnyfield Brick Oven Bakery, they’re making bread the way it’s been done since the beginning. 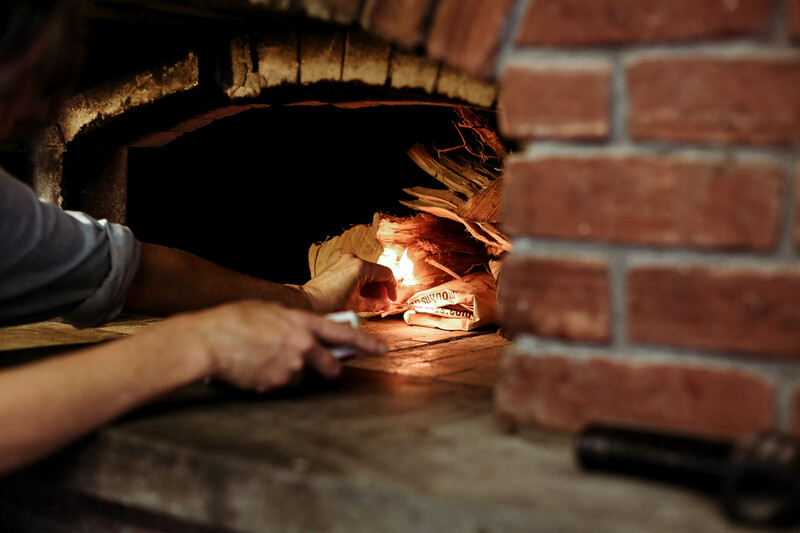 You’ll find Sunnyfield Brick Oven Bakery tucked along Chinook Trail, just 10 minutes away from Tamworth Distilling. Before entering the bakery you’ll notice neatly stacked cords of fire wood, sustainably harvested from the Ossipee Mountain Land Company, which quite literally fuels their entire operation. Inside you’ll be greeted by Peg and Allie, the masterminds behind it all. The bakery is quaint, warm, and above all simplistic. 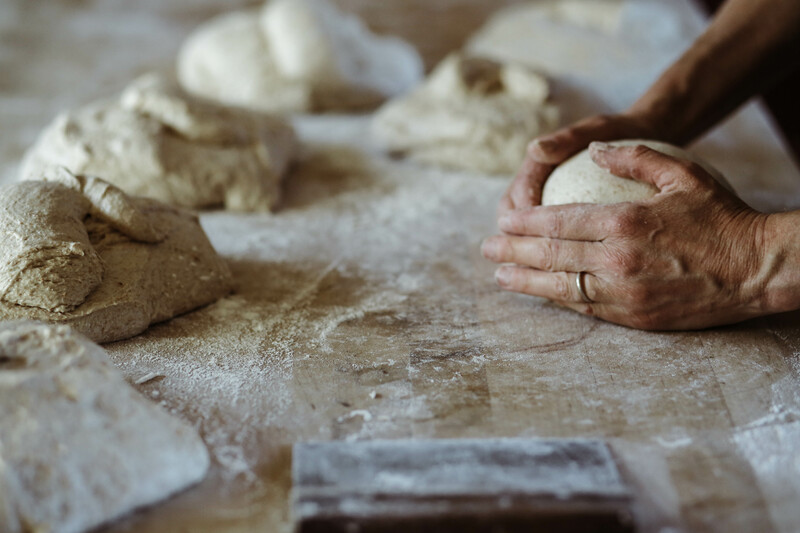 Aside from the organized surplus of organic grains and ingredients, there’s a giant brick oven, and their most trusted tools – their hands. They hand mix their bread in small batches, starting early in the morning. After that, the dough is turned, folding over on itself again and again. The dough rises for two or three hours before being weighed and shaped, then it’s set aside to rise in the appropriate vessels. Soon the loaves are loaded into the oven, where they bake for 30 minutes to an hour. Peg and Allie refer to baking as “both a science and an art.”, but at Sunnyfield Brick Oven Bakery you’ll witness a little bit of both. Their approach relies on technicality and instinct. Temperature, hydration, and protein levels are heavily considered, but when it comes down to it they’re also able to provide the bread with whatever else it needs at each stage. With all that said, they’re not purists. They’re always developing new recipes, perfecting classics, and even making use of our spent distiller’s grains. After our organic corn mash works it’s magic on our whiskey, it’s sent through a centrifugal separator that efficiently separates grains from liquids. Our spent grains are often used as warm cow feed and compost at local farms. 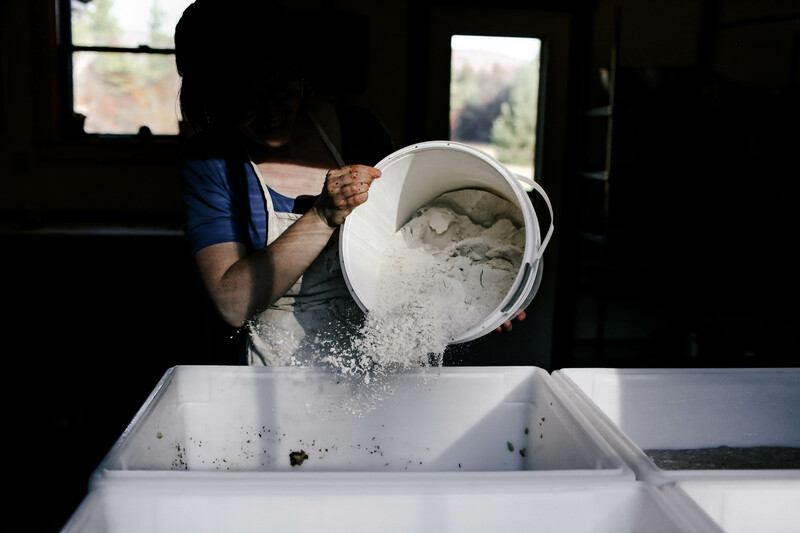 Other times, when those farms are stocked, our grains are sent to local bakers who work to recycle the nutrient rich spent grains. Upon delivery at Sunnyfield, the spent whiskey grains are combined with their organic flours, cornmeal, blackstrap molasses, yeast, sea salt, and malted barley. The result is a deliciously unique bread, wholesome in both origin and flavor. 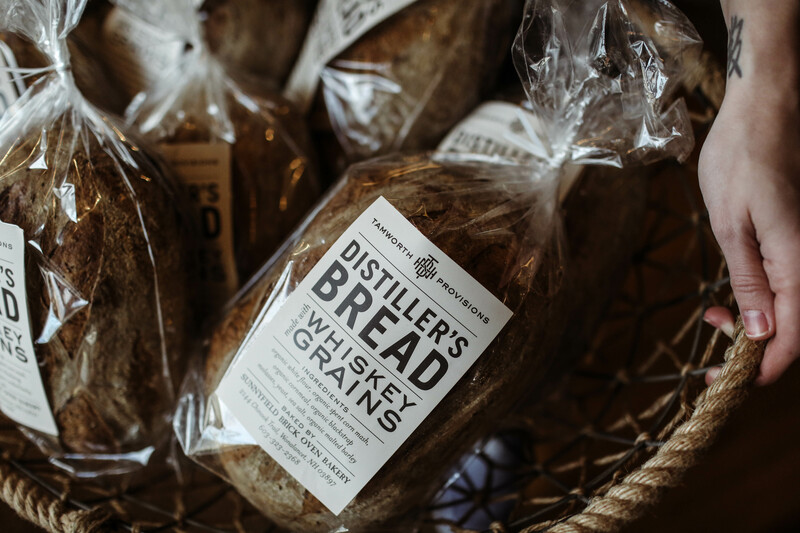 Loaves are delivered fresh to the distillery each week and are available for purchase in our retail space. Stay updated on Sunnyfield Brick Oven Bakery’s latest creations by following them on their Facebook page or visting their website.